Add a touch of class to your residential or commercial space by opting for sophisticated hardwood flooring. 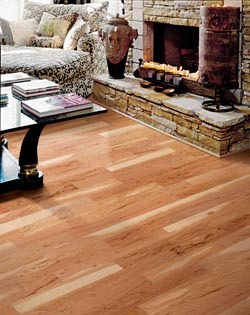 Upgrade the aesthetic of any environment by choosing hardwood floors from our stunning collections. When you make the decision to purchase products from the team at our flooring store you will be guided every step of the way—from selection to installation. You are also sure to find the ideal floors that best suit your needs in looks, performance, and price. The engineered hardwood flooring and solid hardwood flooring available from our showroom improves the value of your home or business. When installed correctly by our hardwood flooring installation team, your new wood floors become a significant investment that will last for many years to come. Installing new hardwood floors into your home is one of the most significant investments you can make when it comes to upgrading and improving the value and aesthetic of your property. Looking for professional assistance in finding the perfect hardwood flooring for your commercial or residential property? Then you have come to the right place. Our impressive showroom features a wide selection of high-quality flooring that is available in an array of different glosses, grains, stains, and finishes. That means you are sure to find a style that fits your aesthetic needs as well as the needs of your budget. Rest assured that our highly-trained consultants are experts in the wood flooring field and are ready to answer any questions you might have about our expansive inventory. With our friendly and knowledgeable help we can be sure you have an easy and enjoyable floor shopping experience. Furthermore, we are more than happy to educate you about the benefits of each type of engineered or solid hardwood flooring option we show you. From cherry and exotic to maple and oak hardwood floors, let us help you find the flooring that works best for your home or business. Whether you are interested in solid hardwood flooring or engineered hardwood flooring, you are sure to be able to find the right kind to fit your unique needs and specifications. These two types of floorings each come with their own, distinct set of characteristics that make them a smart addition to your home or business. Solid hardwood flooring is revered for its unrivaled charm and luxury and is considered to be a permanent fixture in any home or office. With the proper maintenance, this type of hardwood flooring can last generations. Furthermore, solid hardwood flooring can be easily refinished after years of wear and tear to restore its showroom sheen. If you are looking to update your existing décor or change your theme, this type of impressive hardwood flooring allows you to opt for a new stain to make your design ideas come to life. Are you seeking superior strength and durability for your property’s floors? Then you should consider engineered hardwood flooring from our store. Each piece of engineered hardwood flooring is constructed of several layers, including a natural wood layer and resin, to provide you with the ultimate durability. While solid hardwood flooring may warp in areas of high humidity and moisture, engineered hardwood flooring is built to withstand these troublesome areas. With our guidance, we can ensure you have the ideal alternative when you want hardwood flooring in a location that isn’t optimized for extreme moisture. All of the wood flooring types at our showroom have a unique look to them. Mother Nature has hand-painted various patterns onto each piece for a truly distinct charm that lends an artistic edge to any room in your home or office. A smart flooring option for the health conscious, hardwood floors are perfect for allergy suffers as their flat surface does not absorb dust or irritating particles that can cause flare ups. Maintenance is also easy for these types of floors as all you need is a clean cloth or mop head to wipe off dirt, dust, and stains, adhering to the manufacturer’s suggested care instructions. To truly receive all of the benefits that come with buying a hardwood floor, however, you must have it professionally installed. The professional hardwood flooring installation team at our store is capable of flawlessly installing your new floor so that it is optimized for your home or business. This not only helps to extend the life of your new floor, but also help you avoid issues such as lifting, floor bubbles, and other problems that come with amateur flooring installations. Get the absolute most out of your flooring investment by working with our professional hardwood flooring installation contractor. You are sure to enjoy the ultimate convenience that working with our team brings to the table. Contact the team at our store when you are interested in learning about the different hardwood flooring options we have available. Our team serves customers located throughout the communities of Fairfax, Fairfax Station, Falls Church, and Centerville, Virginia, as well as those located around the Washington, DC, area.